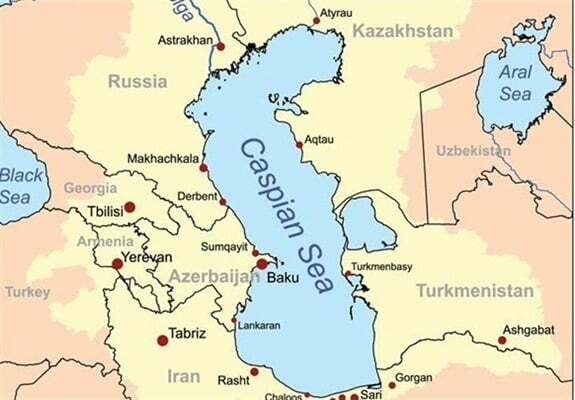 The Iranian Foreign Ministry says it guarantees the country’s share of the Caspian Sea has not been reduced at all based on the Convention recently signed on the legal regime of the Caspian Sea by the leaders of Iran, Kazakhstan, Russia, Turkmenistan, and Azerbaijan in Aktau. 1- What is the significance of signing the Convention on the legal status of the Caspian Sea in general? Negotiations on this convention were in progress since one and a half years ago, and we needed to develop a new convention for the Caspian Sea Legal Regime. There were some issues on which the littoral states of the Caspian Sea could not reach an agreement over the past 21 years; however, two years ago, the foreign ministers of the five littoral states decided to separate the resolved issues from unresolved ones. So, the legislators of the countries examined issues that were agreed upon, and the Convention on the legal status of the Caspian Sea was signed on this basis. For all member states, the Convention on the legal status of the Caspian Sea is a great achievement. We believe the northern region of Iran should be stable and secure. Therefore, the signing of the convention is a very important matter. The most significant achievement of this convention is that we designated the Caspian Sea as a “lake” and adopted it unanimously. One of the consequences of considering it a “Sea” was that non-littoral states could have a right to be present there. However, under the convention, they do not have such a right. We used other lakes in the world as a model for drafting the convention, but these models could not be implemented unless the five countries agreed on them. The convention is also based on the topographies of the Caspian Sea. 2- Were the recent talks in Kazakhstan about each country’s share of the Caspian Sea? As previously stated, we did not discuss such an issue. It should be emphasised that the negotiations on the Convention, which was signed last Sunday in Kazakhstan, did not address the shares of countries from the seabed and sub-seabed. Of course, talks are underway in this regard, and countries have not yet reached a final agreement on the issue. 3- Over the past few days, rumours have been heard in the social media about the events at the Aktau Summit, as well as disputes over the shares of countries. What do you think about this? It must be asserted that the signing of the convention is an auspicious event and [public debate regarding the convention] shows public opinion is sensitive to territorial issues, and that the foreign ministry is also in need of public support. We always knew that geopolitical issues would involve public opinion. Looking into the dimensions of the Caspian Sea Legal Regime is a matter of time, and for this reason, after every single summit held in the past years, we have published the documents and declarations. We guarantee that there was not even the slightest retreat or restriction on Iran’s share. The only thing that happened was that we removed two conventions from the Convention on the legal status of the Caspian Sea, and after 21 years, implemented the rest of the issues which were positive and enforceable, and the presidents of the five Caspian Sea countries signed them. Just general principles are stated in this Convention and other controversial details have been postponed to be approved in future agreements. Of course, other issues in all aquatic areas, such as water surface, the seabed and sub-seabed, will be examined separately. The Convention grants jurisdiction over 15 miles of territorial waters to each country, but the baseline and form of the 15 miles depends on the five-party agreement that will be drafted in the future. At the same time, to determine the baseline of Iran, it has been emphasised that the inappropriate geographic form of the Iranian coast, which is naturally so, should be taken into consideration in determining the borders. Also, the study of energy resources in the Caspian region, which we call them the seabed or sub-seabed of these regions, will be the subject of the future talks, given the economic and legal requirements. 4- Does the determination of 15 miles of territorial waters affect the countries’ shares? Determining the baselines of the Caspian Sea must definitely be five-sided. However, this is usually done unilaterally in the discussion of the rights of the seas. There is also an exception to the Convention that the states whose coasts are inappropriate in form must not sustain losses. This article has been added to the Convention at Iran’s insistence. 5- What happens if there would be no agreement in the future regarding the seabed or sub-seabed? What would happen to other agreements already reached? If the baselines and the way they are marked are not specified, then the parts of the convention which were agreed upon and signed by the five states will be inevitably suspended. According to the existing legislation, Iran will protect its proclaimed 20% share until the baselines are specified. During this period, Iran will not allow any country to explore and exploit energy resources [in this area]. In this 20-percent region, we do not have ownership rights, but just governing rights. 6- In accordance with the treaties concluded in 1921 and 1940, which institution or organisation is considered as the dispute settlement body? How did you match the negative implications of the two treaties with the Convention? We passed this issue first to bilateral and multilateral negotiations. All specialised issues will be examined and resolved separately, and there is no problem regarding this. We did our best to include all the positive points of the 1921 and 1940 treaties in this Convention. It should be noted that on the basis of the two above-mentioned treaties, Russia was allowed to interfere in Iran if it is threatened. Of course, during the Pahlavi era, despite the fact that the treaties had been signed, Iran objected to this paragraph in a formal letter, and a letter of protest was sent again after the Islamic Revolution. Neither in these two treaties, nor in any other document between Iran and the former Soviet Union or Iran and Russia, have we not discussed the percentage of shares and division of the Caspian Sea. All the speculations raised in some media are misconceptions about these treaties. We emphasise that there was no limitation of the borders in these two treaties. In these treaties, there was no implicit or explicit talk of percentages. 7- How is the Convention going to be ratified in the Islamic Republic of Iran and other littoral states of the Caspian Sea? In the Islamic Republic of Iran, since the beginning of talks on the Caspian Sea, this matter was followed up by the Supreme National Security Council, and the negotiating teams proceeded on this basis and obtained the necessary permissions. In addition, the signed convention, like all agreements, must be approved by the parliaments of the five countries and will be followed by legal procedures.